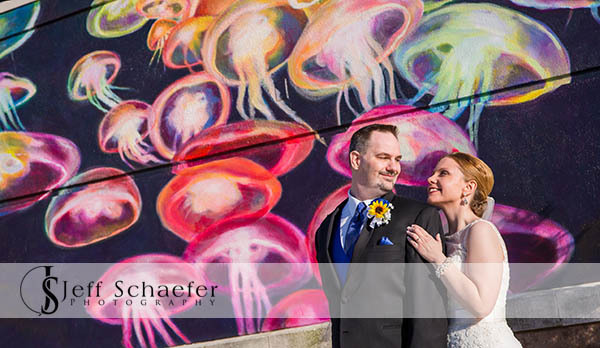 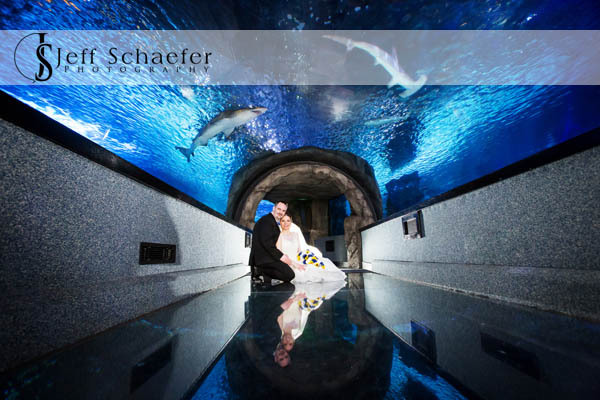 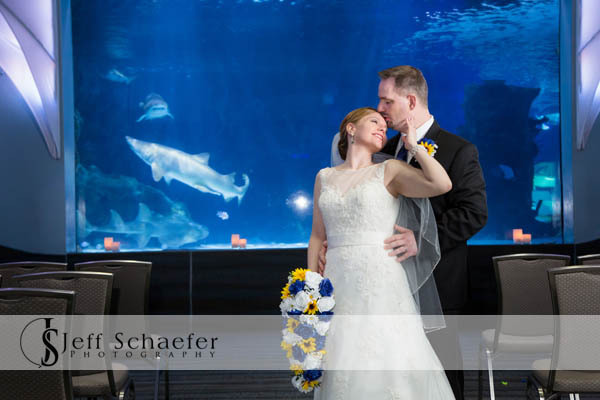 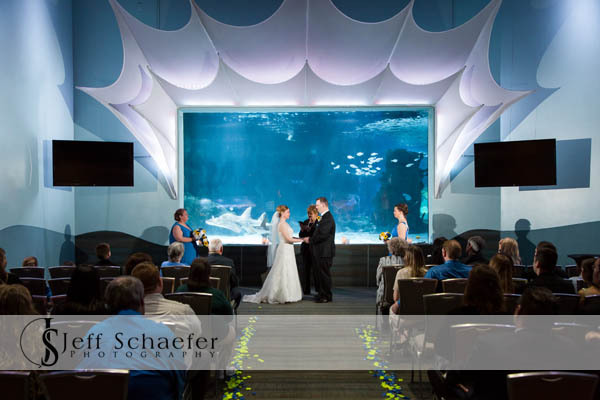 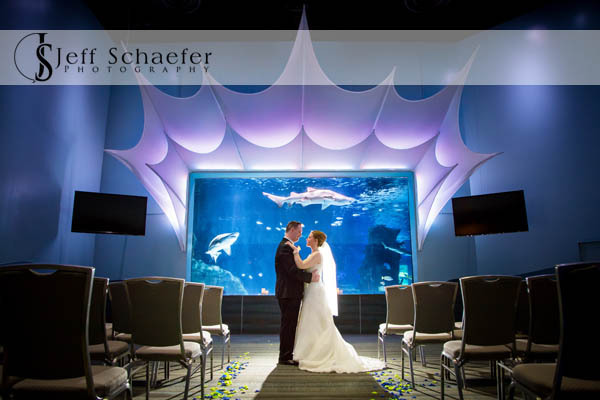 Their wedding ceremony was in the Shark Ray Bay Theater in the Newport Aquarium. 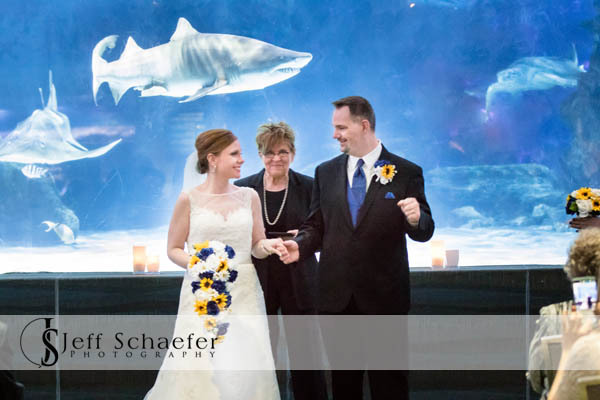 So unique to watch sharks swimming behind them during the wedding ceremony. 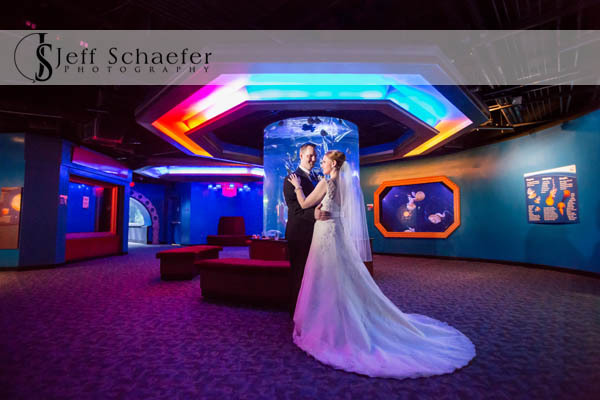 Very entertaining for the kids. 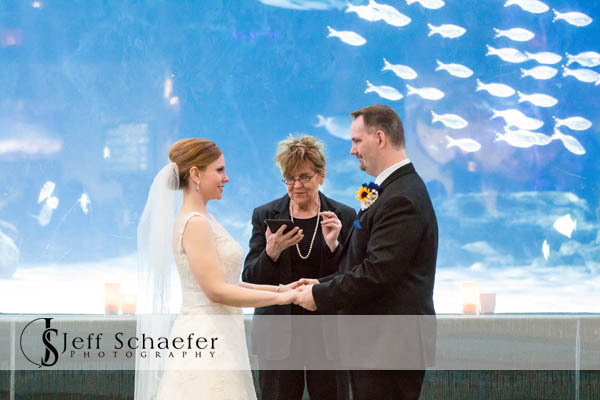 After the ceremony all the guests got to pet a penguin, and roam the entire Newport Aquarium during cocktails and through the entire reception - even could pet the sharks. 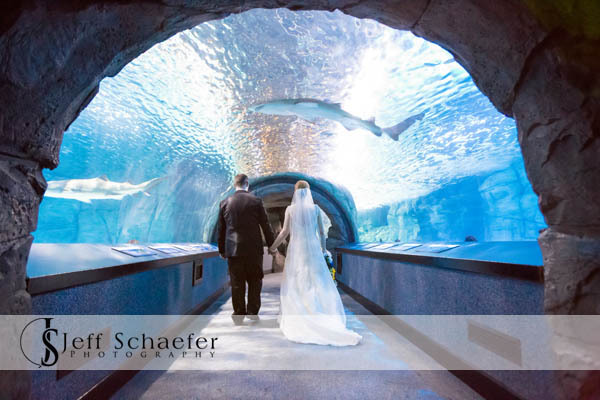 It's neat to see the aquarium with the doors open so you can get around without going through the maze of exhibits. 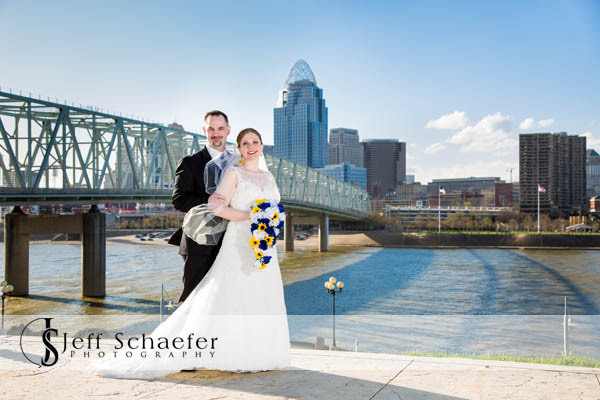 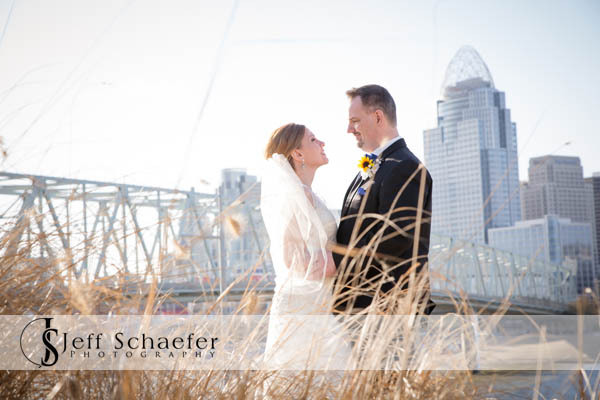 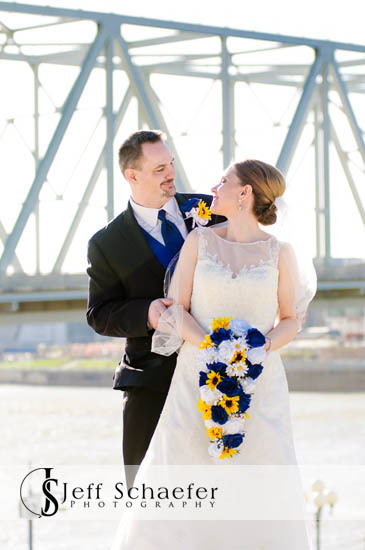 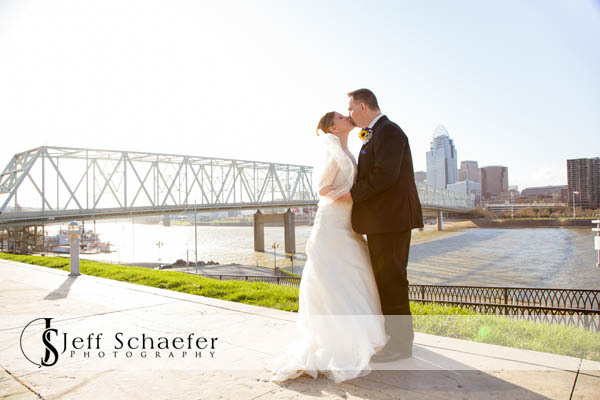 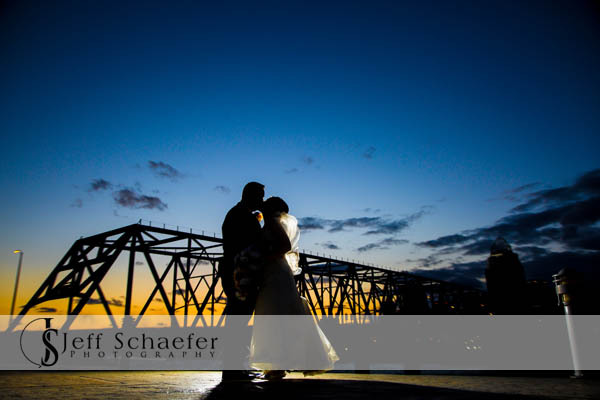 Their reception was in the Riverside Room with a great view of the river and Cincinnati city skyline. 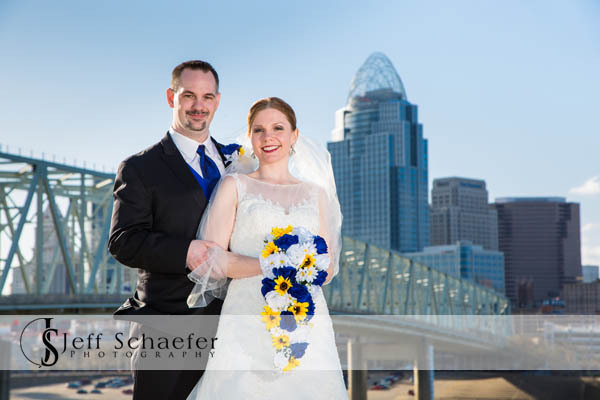 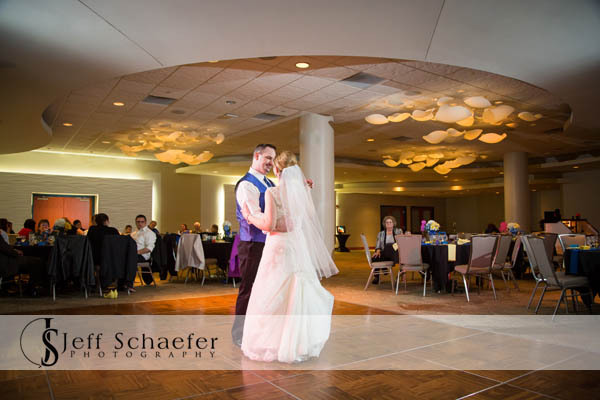 Deanna and Mike, Thank you so much for allowing me the honor of photographing your wedding for you. 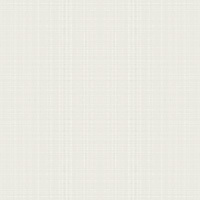 It was my pleasure! 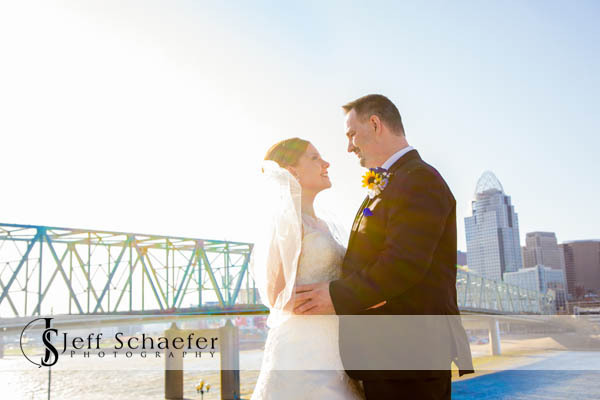 Congratulations, and best wishes on your new lives together!